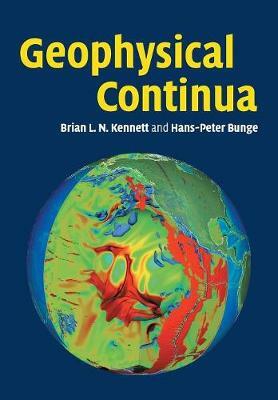 Author(s) Kennett, B. L. N.; Bunge, H.-P.
Geophysical Continua presents a systematic treatment of deformation in the Earth from seismic to geologic time scales, and demonstrates the linkages between different aspects of the Earth's interior that are often treated separately. A unified treatment of solids and fluids is developed to include thermodynamics and electrodynamics, in order to cover the full range of tools needed to understand the interior of the globe. The emphasis throughout the book is on relating seismological observations with interpretations of Earth processes. Physical principles and mathematical descriptions are developed that can be applied to a broad spectrum of geodynamic problems. Incorporating illustrative examples and an introduction to modern computational techniques, this textbook is designed for graduate-level courses in geophysics and geodynamics. It is also a useful reference for practising Earth scientists.